Long distance running requires a mix of stamina, determination and high performance gear that’s built for the challenge. These quarter height road running socks feature ASICS MotionDry Technology and works with Meryl hydrogen microfibers. 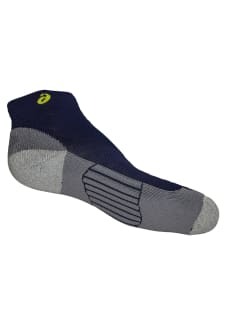 The fabric inhibits the build-up of static electricity and allows air and moisture to pass through, resulting in optimal breathability and extreme comfort. 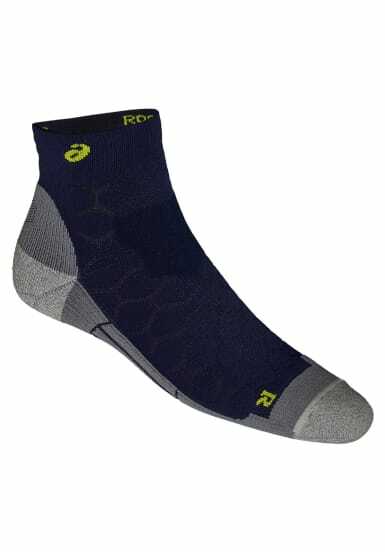 Nanoglide fabric, which is uniquely engineered to be durable, wick sweat, dry quickly and reduce friction features on the toe and heel of the performance sock, while all over-elastic creates the perfect fit. Targeted cushioning in the arch offers excellent shock protection and the double tab uppers protect your feet from discomfort caused by rubbing.